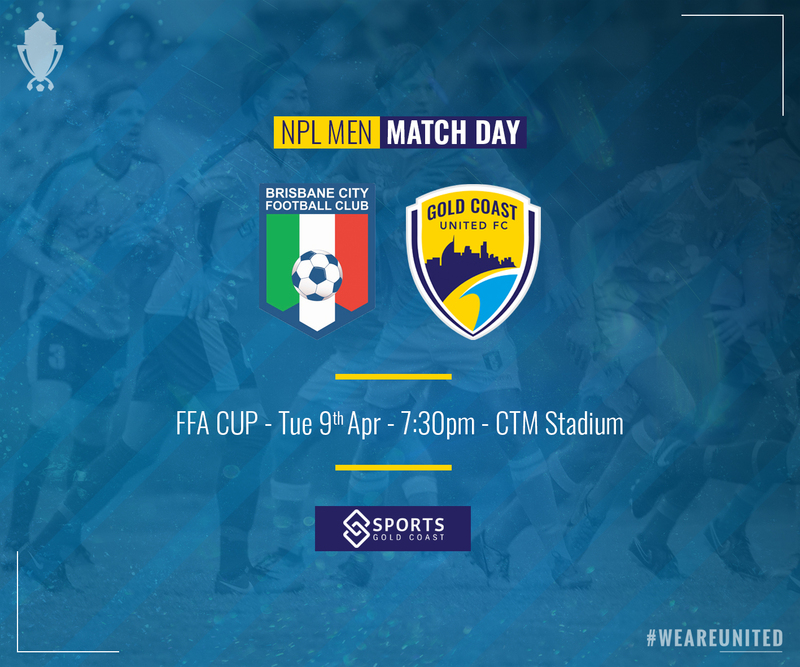 Gold Coast United kick-start their 2019 FFA Cup campaign away at Brisbane City tomorrow night. It’s United’s second involvement in the competition and if the NPL ladder is any indicator, the squad’s chances of progressing further than in 2018 look positive. But United head to Newmarket knowing that they’ll be in for a tough match. Ladder positions count for zilch in cup competitions and any match against City in front of their faithful is always a test. With City having also been docked points recently for a ‘player eligibility’ breach, there’s even more incentive for them to have their tails up for this one as they look to get as much as they can out of the Cup in 2019 with the chances of them playing in league finals seemingly dashed after the points penalty. Conor Smith’s 2019 season goes from strength to strength. Smith has featured in five Football Queensland NPL Teams of the Week, an integral part in United’s push towards the top four. The gifted ball player is relishing the environment and comaraderie among the 2019 squad after impressing in his debut season in 2018 where he scored six goals and took out the club’s MVP. With four* goals to his tally this season from 10 starts plus a swag of assists, Smith is eyeing off his prospects of opening his tally against City in what will be his FFA Cup debut. John Kosmina’s departure from the head coaching role came just prior to the announcement by Football Queensland that Brisbane City had been fined and docked points for fielding an ineligible player in the first four rounds of the NPL competition, including their 2-1 loss to United at Coplicks in Rd4. After the loss of those points City find themselves near the foot the ladder 12 points adrift of the 4th placed United and a whopping 23 points below the leaders, a third of the way through the season. Nick Green has taken the Azzurri’s reigns and that change brought immediate success with City accounting for Strikers in an inner city derby in Rd9 followed up by a draw in Rd10 against the young Roar. Jean Carlos Solarzano and Sam Sibatura are two of the most recognisable names with Adam Edgar an ever-present threat in and around the box. One time Pride player, midfielder Jesse Rigby, is yet to hit his straps for City. Will this be the match? United bowed out early from the 2018 competition, their one and only involvement to date, defeated 3-2 by Gold Coast Knights in Rd5 last year. City progressed to Rd7 in 2018, ultimately falling in a penalty shoot-out to cross town rivals Olympic FC. The Azzurri are yet to progress beyond the local rounds to the national stage in five previous editions of the Cup.